From left, linemen Dana Jackson, Siaosi Panapa and Jarod Anderson. If you’ve driven on Petzold Road near Crow lately, you might have noticed these new square-shaped poles that our crew installed last fall. 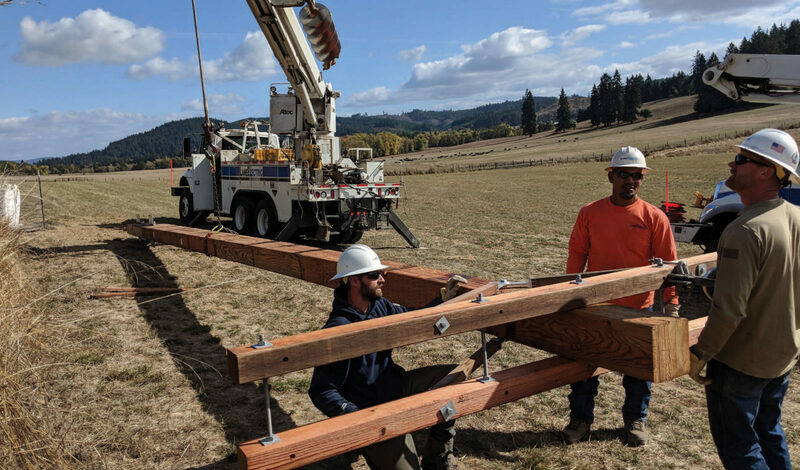 These are called glulam poles and they were made locally in Oregon. They are expected to last two-to three-times longer than traditional round poles. This project was an investment in your future. New poles and wires mean greater reliability for your homes and businesses. It’s also innovation. Here at Lane Electric Cooperative, we are innovating to bring you the best the industry has to offer and the most reliable service possible.